China's dramatic rise in recent decades has taken many Western observers by surprise. Those who forecast a pessimistic future for the country have turned out to be wrong. China is now the world's largest economy in terms of purchasing power parity, with the world's largest middle class, foreign exchange reserves, propertied class and number of globe-trotting tourists. 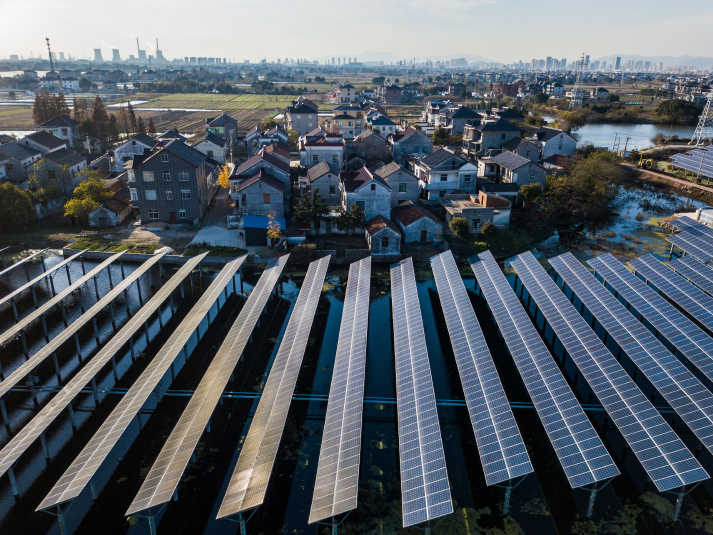 China is also the world's leader in renewable energy in terms of both investment and output, and a champion for multilateralism and globalization. China has its share of problems, some of which are serious and require dedicated solutions, but the country's overall success throughout these years is beyond doubt. How to explain this success? Some claim that it is due to foreign direct investment (FDI), but Eastern Europe has received far more FDI in per-capita terms; others claim that it's due to an abundance of cheap labor, but India and Africa provide less expensive offerings in this regard; some claim that it's due to an "authoritarian" style of government, but these so-called "authoritarian" governments abound in Asia, Africa, Latin America and the Arab world without the same level of achievement as China. If these explanations alone prove insufficient in explaining how exactly China has achieved its success, we should look elsewhere for answers. In essence, it has to do with the fundamental nature of China as a state and the Chinese model of development. China is not an enlarged East Germany, nor is it any other ordinary socialist state. China is a civilizational state, arguably the world's only one since it is the only country in the world with a history of unified statehood for over 2,000 years. It is also the world's only civilization to last continuously for over 5,000 years, now coalesced in a huge modern nation. Any such country is bound to be unique. China today is an amalgam of four factors, namely, a super-large population, a super-sized territory, super-long traditions and a super-rich culture. China has a population larger than the total populations of the European Union, the U.S., Russia and Japan combined. China's annual Spring Festival sees an average of over 3 billion trips on the country's vast transportation networks, equivalent to moving the populations of the Americas, Europe, Russia, Japan and Africa from one place to another in less than a month. This goes someway to depicting the scale of the country as well as the challenges and opportunities that lie ahead. China's "four supers" have largely shaped the country's development as well as its unique development model, of which a few features can be distilled. The country's guiding philosophy is termed "seeking truth from facts." This ancient Chinese concept was revived by Deng Xiaoping, the architect of China's reform program, after the "cultural revolution" (1966-76). Deng believed that facts—whether emanating from the East or West—should serve as the ultimate criterion for establishing truth. Through examining contemporary facts, China concluded that neither the Soviet model of communism, nor the Western system of liberal democracy could really empower a developing country in achieving modernization. China decided to explore its own path of development and in 1978 adopted a pragmatic, trial-and-error approach for its massive development program. This decision constitutes the philosophical underpinning of the China model. Putting people's livelihoods first is a traditional concept in Chinese political governance. Deng prioritized the eradication of poverty as China's primary national objective and pursued a realistic strategy to this end. China's reform began in the countryside, as most Chinese were at the time rural residents. The success of these initial reforms set the Chinese economy moving and instigated a chain reaction leading to the rise of millions of small and medium-sized enterprises, which soon accounted for more than half of China's industrial output, paving the way for the rapid expansion of China's manufacturing industries and foreign trade. China approaches human rights from a different angle than the West. While the latter tends to focus exclusively on civil and political rights, China's attention to "putting people's livelihoods first" can have long-term positive implications for expanding and improving the economic, social and cultural rights of its people. The gradual nature of reform is another crucial aspect of China's development. Given the size and complexity of the country, Deng set out a circumspect strategy described as "crossing river by feeling for stepping stones," encouraging experimentation in all major reform initiatives, an approach exemplified by China's special economic zones in which new ideas such as land sale, hi-tech joint ventures and an export-oriented economy were tested. Only when new initiatives are proven to work are they then extended nationwide. China has rejected "shock therapy" and worked through its existing, imperfect institutions while gradually reforming them to better serve the country's development and modernization. This cautious approach has allowed China to maintain much needed political stability and avoided the paralyzing political and economic failures of the Soviet Union and Yugoslavia. China has tried to combine the strength of the market's invisible hand with the visible hand of state intervention to correct market failures in what has become known as the socialist market economy. As market forces have been released by China's seismic economic change, the Chinese state has ensured macro political and economic stability, steering the country away from financial disasters in 1997 and 2008. Now the government is pursuing a strategy to promote renewable energy and embrace the new industrial and scientific revolution. The mixed economy model is not perfect, but since its inception in 1992, China is the only major world economy that has not experienced financial or economic crises, while people's living standards are rising faster than anywhere in the world and the country's contribution to the growth of the world economy is now larger than that of the U.S., Europe and Japan combined. In other words, the model is not perfect, but it's proving better than other models, including that of the West. China's transformation has been led by an enlightened, development-oriented state. The Chinese state is capable of shaping national consensus on the need for reform and modernization and ensuring overall political and macroeconomic stability as well as pursuing hard strategic objectives such as enforcing the reform of state-owned enterprises and the financial sector, and stimulating the economy against the global downturn. This originates from a Confucian tradition of a benevolent strong state supported by meritocracy at every level. Despite its weaknesses, over the past four decades the Chinese state has presided over the fastest economic growth and improvement of living standards in human history, and key independent surveys, including those by PEW and Ipsos, show a consistent pattern in which the Chinese central authorities command a high degree of respect and support within the country. The Ipsos survey (2016) showed that 90 percent of Chinese were satisfied with the country's path, while only 37 percent of Americans and 11 percent of the French said the same for their respective countries. Depicting China's polity as lacking legitimacy or even on the verge of collapse, as sometimes appears in the Western media, is out of touch with the reality in China. The Chinese experience since 1978 shows that the ultimate test of a good political system is to what extent it can ensure good governance as judged by the people. The hallowed dichotomy of democracy versus autocracy is a vacuous one in today's complex world, given the large numbers of poorly governed democracies across the globe. China's experience may eventually create a paradigmatic shift in international political discourse away from this old dichotomy to a new one of good versus bad governance, in which good governance may look either like a Western political system or a non-Western one. Similarly, bad governance may take the form of the Western political system or it may not. In response to Francis Fukuyama, author of The End of History and the Last Man, now is not the end of history, but the end of the end of history. This is not only good for China, but for the West and the whole world, as we can now jointly explore new ways and means for better governance and development in the interest of our common humanity.